They like us, they really like us! 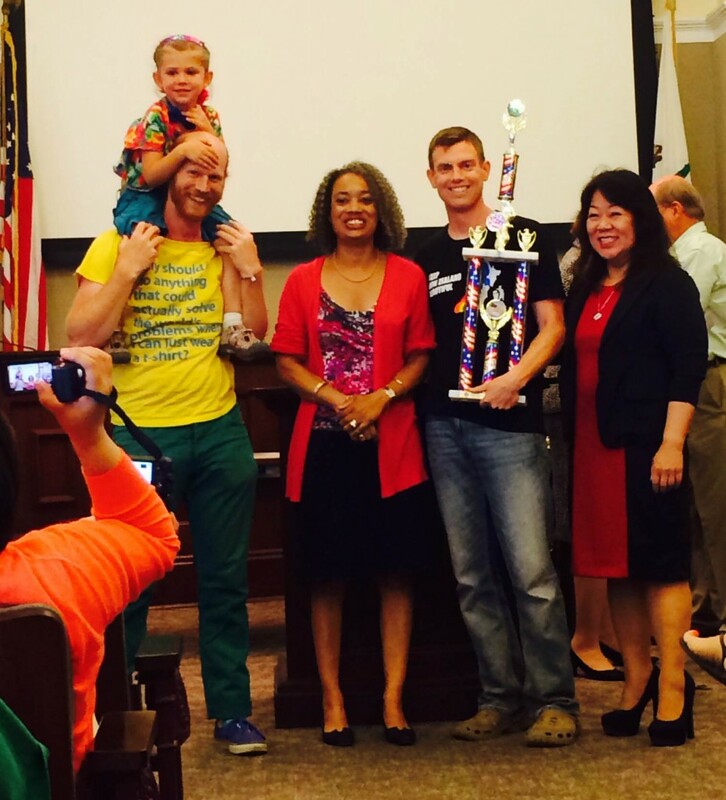 A bunch of us participated in the Alameda 4th of July parade, which is one of the biggest in the country (175 entries! ), and we finished first in the “Walking” category (though there was as much unicycling and joggling as walking). 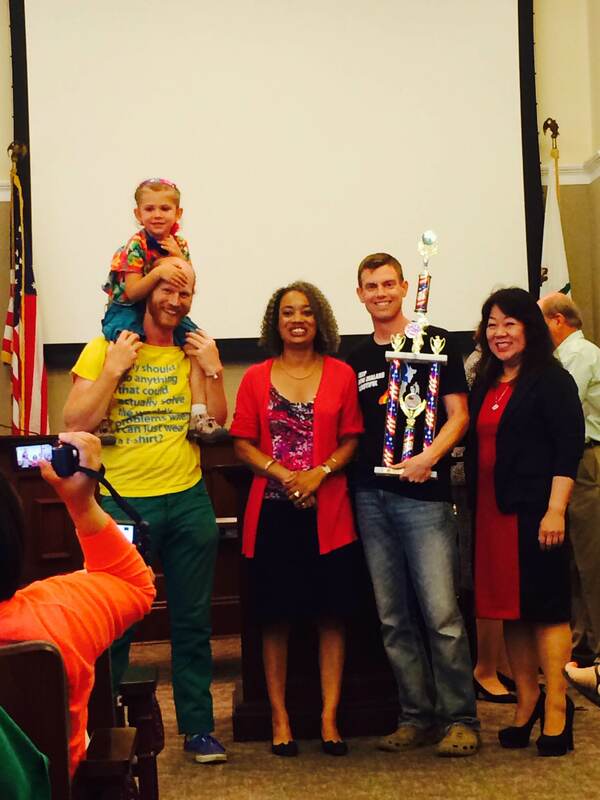 Here’s Vince and Lance with the mayor of Alameda and the (impressive!) trophy.